Your little house by the sea! The architecture of the 125 full-title properties is based on historic Cape and modern farmhouse design elements. Negester Onrusrivier has a modern, well-equipped sectional title care centre with 50 residential units. The amenities include a cosy dining room, living room with a fireplace, ladies’ bar, small library, hair salon, and a clinic. 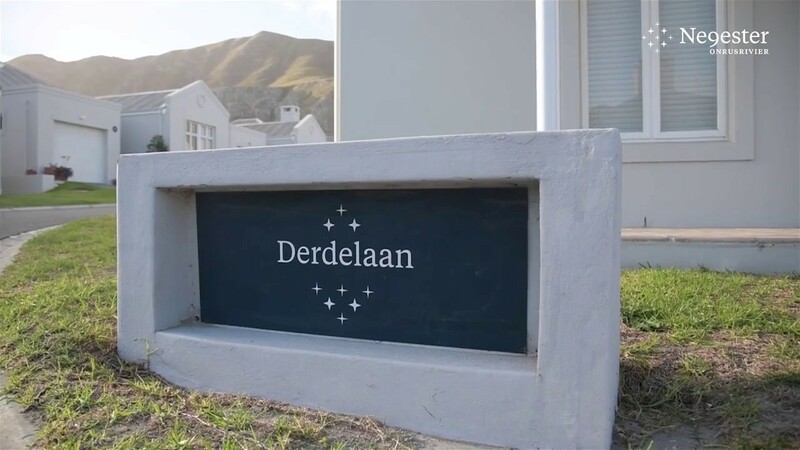 Negester Onrusrivier is located between the Groenberg Mountains and sea - just a stone's throw from top-class wine estates, golf courses, shopping centres, beaches, restaurants, and a Mediclinic hospital. "My little house by the sea […] where winds rattle the windows; inside it’s safe, warm and secure." Ever dreamt of living in a peaceful, picture-perfect coastal town? Onrusrivier, with its pleasant winter rainfall climate, lagoon, walking trails and proximity to Hermanus, is quickly becoming a sought-after destination for fifty-plussers. Here you will find Negester Onrusrivier, a charming secured lifestyle-estate. Negester Onrusrivier combines the stunning scenery of the sea, the lagoon, the fynbos vegetation and the mountains, with attractive features such as old fashioned porches (stoeps), homely low walls and gardens. Negester Onrusrivier is the ideal place for fifty-plussers in search of an excellent investment opportunity and a home in a safe and picturesque setting. Contact us now to secure your little house by the sea.